4 Inch Marquee Love Letters Are Perfect For Eye-Catching Displays. These Large Letters Are Customizable And Offer The Perfect Opportunity For Creativity. 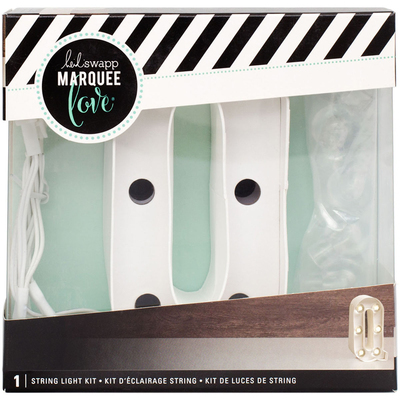 Pair With Marquee Love Accessories For A Custom, Trendy Project That Will Light Up Any Room! Package Measures 4.625X4.5X1.5 Inches. Comes In A Variety Of Letters, Symbols And Shapes. Each Sold Separately. Warning: This Product Contains Chemicals Known To The State Of California To Cause Cancer, Birth Defects Or Other Reproductive Harm. Do Not Mouth Or Chew. Imported.